The Center provides a complete range of services for children suffering from kidney diseases and hypertension. Our 2 fulltime, board-certified pediatric nephrologists have advanced training in the diagnosis and treatment of kidney disease and hypertension in children. They, together with other members of the pediatric nephrology team, provide inpatient and outpatient consultations, diagnosis, and long-term medical management for various kidney diseases. Other services include forms of kidney replacement therapy for children suffering from bed wetting, end-stage kidney failure, hypertension, or who are in need of a kidney transplant. The pediatric dialysis unit at the Joseph M. Sanzari Children’s Hospital is unique to New Jersey and is rare among hospitals in the nation. Our Pediatric Dialysis Unit –which provides this life-saving treatment solely to children with acute and chronic kidney failure – has been designed to be child-friendly and offers internet access, individual televisions, and other amenities at each station. Our unit uses the most advanced hemodialysis modalities available today to remove waste from the body and to restore the body’s metabolism. For those families that wish to perform dialysis at home peritoneal dialysis services are offered from infancy upwards. 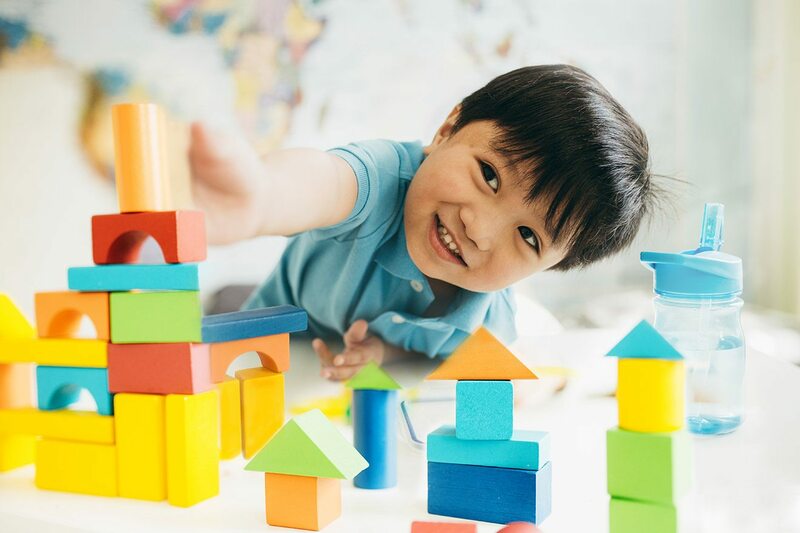 As one of New Jersey’s few hospitals that provide kidney transplantation, Hackensack University Medical Center offers this life-sustaining treatment to children. Our nationally known transplant surgeon, is skilled in the special techniques necessary for pediatric kidney transplantation using both live donor kidneys and kidneys from deceased donors. 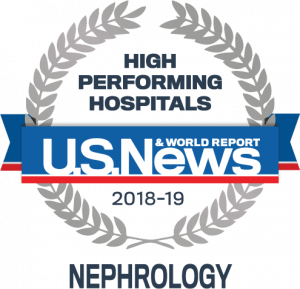 When a kidney biopsy is needed to make a diagnosis the expert Interventional Radiologists at the Hackensack University Medical Center perform the procedure under ultrasound guidance with the assistance of an Anesthesiologist. Biopsies are performed in the morning. The patients are usually discharged by the end of the day. Nephrologists at the Center for Pediatric Kidney Diseases (Nephrology) work closely with pediatric urologists at the Joseph M. Sanzari Children’s Hospital to diagnose and treat urologic diseases associated with the kidneys and other organs of the urinary system. Our pediatric nephrologists diagnose and treat children with common and rare kidney disorders. Children receive high-quality, compassionate care from doctors, nurses and support staff. There should be no blood and no protein in the urine. If your pediatrician has detected blood or protein in the urine then your child may have a kidney disease. Our doctors offer the time-tested standards of care but also are exploring new, innovative, and experimental treatments, which are showing the promises of increased cure rates with fewer side effects. When the immune system attacks the ‘self’, the kidneys may become damaged. The pediatric nephrology team works closely with the pediatric rheumatology team in the care of children with autoimmune diseases. There is frequent collaboration and coordination of care between the rheumatologic and nephrologic teams in the treatment of patients with these complex diseases to ensure the best outcomes. A helpful test to evaluate high blood pressure in children is the 24-hour ambulatory blood pressure monitor. Because children can be nervous at the doctor’s office their blood pressure may rise temporarily, a condition called ‘White Coat Hypertension.’ In order to figure out if the high blood pressure is just temporary or is persistent and due to a medical condition, 24-hour ambulatory blood pressure monitoring is often recommended. Then the child’s blood pressure is monitored at home while playing, sleeping, eating, and doing their usual activities. Approximately half of the children referred for evaluation of their high office blood pressures are found to have entirely normal readings at home and require no further testing. If the child’s blood pressure remains high on the 24 hour test then he/she will undergo additional testing. Unlike high blood pressure in adults, approximately 90 percent of the cases of hypertension in children are caused by a kidney problem. Our American Society of Hypertension certified Specialist in Clinical Hypertension, Leigh Ettinger, M.D., and his team carefully evaluate each patient through a series of tests to determine if the hypertension is due to any anatomic, renal, hormonal, or cardiac cause. Then an individualized treatment program will be discussed with the family. If you are experiencing the pain and discomfort of kidney stone disease, you can trust Hackensack University Medical Center’s urology experts to use their experience—combined with the latest technology and treatments—to help eliminate your existing kidney stones and keep them from returning. If you are living with progressive chronic kidney disease or have kidney failure, a transplant may be an option for you. Regardless of your age or the primary cause of your kidney failure, we will evaluate you to determine whether you are suitable for a transplant.